Today Rogers announced more details on the iPhone launch taking place this Friday, July 11, 2008 . Details include a limited time offer of 6GB data for $30 and select rogers Plus stores opening at 8am on Friday. Calling all iPhone 3G fans! TORONTO, July 9 /CNW/ – In anticipation of iPhone 3G launch on July 11, Rogers Wireless today announced plans to open the doors of select Rogers Plus retail stores across Canada in advance of regular hours. Starting at 8:00 am July 11, Canadians will be able to purchase the new iPhone 3G at special launch day events to be held at six Rogers Plus stores across the country. Be among the first in Canada to get the next generation iPhone 3G and have the choice of a 6GB data plan through a limited time promotional price offer. "As Canada’s leading wireless carrier, Rogers is excited to bring iPhone 3G to Canadians even sooner, allowing our customers to be amongst the first in the world to experience this amazing mobile innovation," says John Boynton, Senior Vice President and Chief Marketing Officer, Rogers Wireless. "To celebrate its launch on Canada’s fastest wireless network, we’re rolling out the red carpet with special events at six Rogers Plus stores and a limited time price promotional data offer from coast-to-coast." iPhone 3G combines all the revolutionary features of iPhone with 3G networking that is twice as fast(*) as the first generation iPhone, built-in GPS for expanded location based mobile services, and iPhone 2.0 software which includes support for Microsoft Exchange ActiveSync and runs the hundreds of third party applications already built with the recently released iPhone SDK. Customers attending launch day events at these Rogers Plus stores will be treated to a free early bird breakfast and have a chance to win Rogers Wireless prizes. New Canadian iPhone 3G customers will also have the choice to select from Rogers Wireless’ existing voice and smartphone data plans and/or additional features to best suit their needs, or from Rogers Wireless’ value bundled plans specifically for iPhone 3G. Existing Rogers Wireless customers can keep their current voice service plan and select a separate data plan to meet their needs or choose from other plans after checking their individual upgrade eligibility. Starting July 11, iPhone 3G will be available at participating locations across Canada, including select Rogers Plus, Rogers Video, and Rogers Wireless retail locations and at the following specially selected authorized Rogers Wireless dealers: WirelessWave, TBooth and Wireless etc. 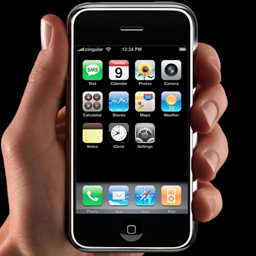 iPhone 3G can also be purchased online at www.rogers.com and through Rogers’ customer service at 1-888-764-3771. For a complete store listing, visit http://your.rogers.com/mq/mqlocator.asp. Due to anticipated high demand, there is a maximum purchase of two iPhone 3G per customer. (*) Based on 3G and EDGE testing. Actual speeds may vary due to a variety of factors. Of course, voicemail and call display, etc. are still extra add-ons. Bowing to public pressure, Rogers Wireless Inc. has opted to slash its data fees as the launch of the iPhone draws near. Customers who purchase an iPhone and sign up for a three year contract any time between July 11, when the device goes on sale, and the end of August will be eligible for a $30-per-month data plan giving them access to 6-Gigabytes of data. Rogers previously had charged $100 for a 6-GB plan. A Rogers spokeswoman said the decision to offer the new plan was based on "customer feedback. The special plan is available not just to iPhone customers, but any Rogers customer with a 3G next-generation smart phone. "We listened to our customers, everybody from those who are very tech savvy to those who just knew they wanted this device and were really enthusiastic and didn’t know how they were going to use the data but knew it was a data device," Rogers spokeswoman Liz Hamilton said. "So this will give them a great opportunity." Rogers has faced intensifying criticism for its iPhone pricing plans over the past few weeks. More than 50,000 potential customers have signed an online petition at ruinediphone.com protesting Rogers voice and data plans as well as the company’s decision to force all iPhone buyers to sign three year contracts. Other international carriers, such as AT&T Inc. in the U.S., have opted to offer the iPhone for sale without a contract, albeit at a significantly higher price. You can find more info on Rogers and the iPhone on my blog: Rogers Announces iPhone Plans or by searching for "iPhone" in the search bar in the header. John Boynton, the senior vice-president and chief marketing officer of Rogers Wireless, said in an interview the promotional offer is in response to customer concerns. "We’re responding to our customers that gave us a lot of feedback," he said, adding that rumors about a spat with Apple over pricing or a limited supply of iPhones were false. He said Rogers is expecting record sales following the iPhone’s launch on Friday at six Rogers stores across the country, including a Rogers store on Dundas St. in Toronto. "This will be the best-selling phone in Canadian history." Boynton said existing price plans for the iPhone will go back into effect Sept. 1. "What we’re trying to do is satisfy a very small group of people, the early adopters," he said. "When those customers are done, we’re back to our basic user." I just got off the phone with Rogers Customer Service – Hardware Upgrades (*611). The girl I spoke with (Courtney) was really good about finding the right information to give me, (which is not common with Rogers). I also asked about whether visual voicemail is included with all iPhones and/or the $30 – 6GB data add-on and all she could find out is that the price currently listed in their systems for "visual voicemail" is $0. She said it seems visual voicemail is included with all iPhones, but it’s still unclear. Rogers Announces iPhone Launch Details was published on Wednesday, July 9, 2008 at 8:51am MDT by Daniel Menjívar and last updated on April 11, 2018 at 9:30pm UTC .